This was completed for “People in the Countryside”. 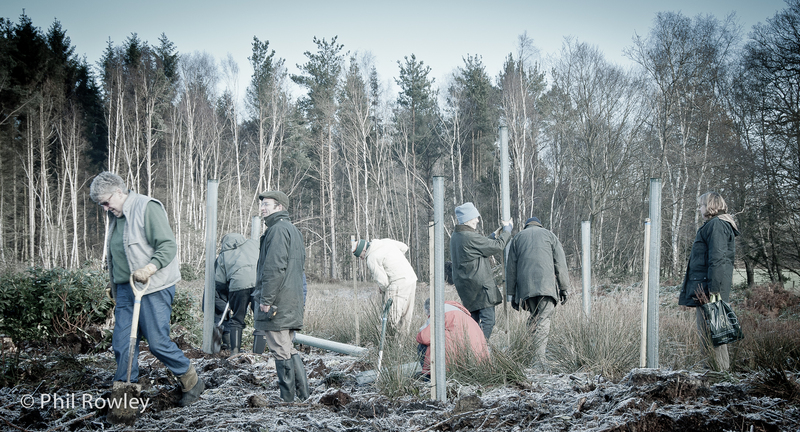 It depicts a group of volunteers planting new trees in the New Forest in Hampshire, England. This was based on a photo I saw in the National Portrait Gallery in London called “Actors’ last Supper” by Alistair Morrison. I liked how everyone was doing something different in a posed shot. This wasn’t posed so though and it worked out really well.